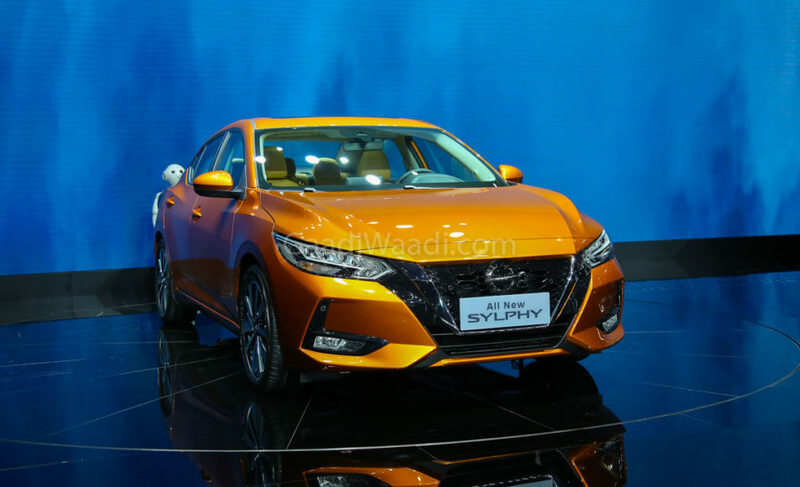 Nissan officially revealed the new Sylphy at the 2019 Auto Shanghai. The Sylphy follows the same design theme of other Nissan models as the front get signature V-motion grille with sleek looking LED headlamps with integrated day time running lamps in it. The front bumper is also new with redesigned fog lamps with air-curtain. The side design is simple and the company is offering lots of different alloy wheel options. The roof has a coupe-like design as the C-pillar has a black plastic cladding. The rear gets LED tail lamps and the company has given a new bumper with integrated reflectors in it. The Sylphy also comes with a black plastic cladding also. According to Nissan, the Sylphy has a low drag coefficient of 0.26, which is similar to the GT-R performance car. The interior design is completely different from the earlier model as the centre console gets turbine inspired AC vents. The 8-inch touch screen infotainment system is placed on the top of the dashboard. The Sylphy comes with the latest software, which comes with connectivity options like Android Auto and Apple CarPlay. The sedan gets a new flat-bottom three-spoke steering wheel with various controls like music system and other controls in it. The instrument cluster gets two analogue meters with a new MID screen in the middle. 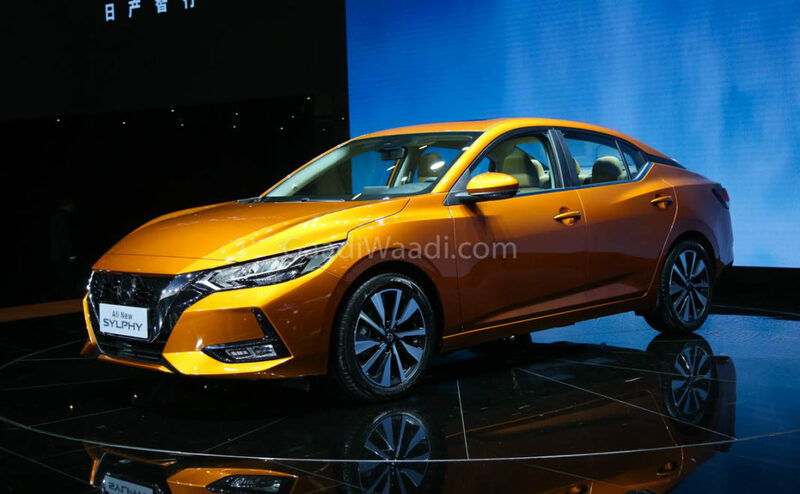 The sedan gets lots of features like climate control, electronically controlled mirrors, automatic headlamps, rain sensing wiper, rear camera with parking sensors and more. The company has given lots of safety features like Intelligent Trace Control, Intelligent Ride Control and Emergency Brake for Pedal Misapplication. Along with these features, the Sylphy also gets Intelligent Forward Collision Warning, Blind Spot Warning, Lane Departure Warning, Cross Traffic Alert, Intelligent Driving Alert and more. 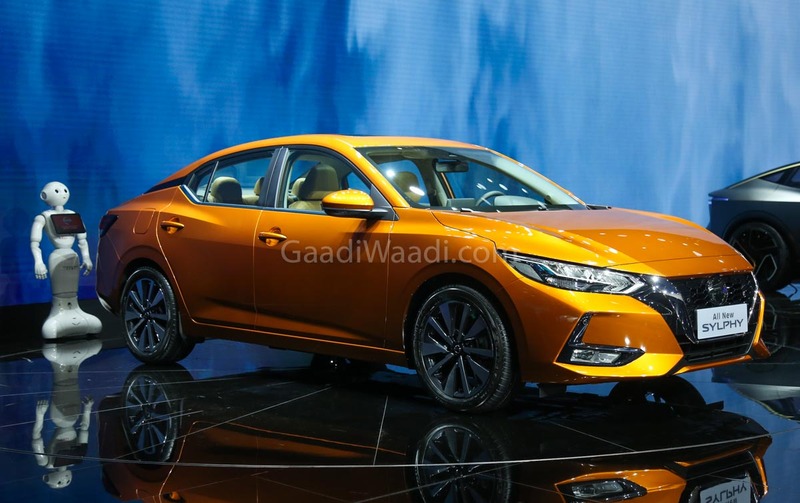 The company hasn’t released specifications as the sedan is powered by HR16DE mated to an Xtronic automatic transmission.